The Roeckl Walford glove is a cool Clarino fabric glove. The fingers and palm are coated with Silicon. These gloves perform well in all weather. 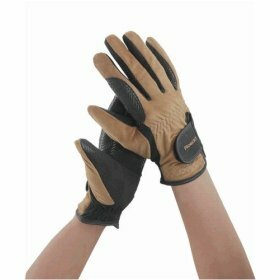 The gloves are elasticized across the back of the hand to allow for movement. A hook and loop tab provide a secure closure. The first third and fourth fingers have rein reinforcements for added durability. Washable.